An online fax service allows you to send and receive faxes from your computer or smartphone. In this guide, we compare 3 of the best online fax services: RingCentral Fax, Nextiva vFax, and HelloFax. We also uncover the best free fax services for sending/receiving occasional faxes. We recommend RingCentral Fax because they offer the best set of features for the price (including digital signatures and cloud storage integrations) and offer a large monthly allotment, starting at 500 pages/month. RingCentral Online Fax is a good balance of professional features and value. For $9.99/month (or less if you buy a year upfront), you can send or receive up to 500 pages per month. This a better value than it’s closest competitor HelloFax, which only offers 300 pages for the same price. RingCentral Fax offers unique online fax features you won’t find from the value-driven option Nextiva. You can add electronic signatures to your faxes, which is helpful if your documents require your own signature in addition to the recipient’s. RingCentral supports international faxing and integrates with cloud storage services Dropbox, Box, and Google Drive. This allows you to easily attach documents, or automatically store faxes to your preferred cloud drive. The main downside to RingCentral is the price. While it’s not particularly expensive at $9.99/month, there are free services available if you only need to send/receive occasional faxes. Nextiva is also a less expensive (but stripped-down) option. We should also note that RingCentral is primarily a business phone service provider. Faxing is included free with a phone service plan, so it’s worth considering a phone service package if you need both. At just $59.40/year for 500 pages per month, Nextiva costs about 40% less than RingCentral. If you can do without e-signatures, cloud storage integrations, and international faxing (which are not supported) Nextiva is the way to go. Also, like RingCentral, Nextiva is primarily a phone service provider and offers both faxing and voice at a discounted price. 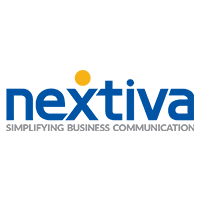 Check out our comparison of Nextiva and RingCentral phone packages here on FitSmallBusiness.com. Like RingCentral, HelloFax offers electronic signatures and integrates with cloud storage programs. They do esignatures a little better, however, since it’s powered by their sister company HelloSign (you can actually draw signatures, rather than having to upload a bitmap). Plus, they integrate with a wider range of cloud storage programs, including Box, Dropbox, Google Drive, OneDrive, and Evernote. This makes it easy to send documents saved in your storage drive, or automatically save your faxes. If you just need to send occasional faxes, try GotFreeFax.com. They let you send up to 2 faxes per day (each with up to 3 pages). Unlike other free services, they don’t display any ads on your faxes. Your document will look formal and professional. FaxZero has a higher limit (up to 5 faxes per day) but places a small ad on your coversheet and on the header of each page. If you need to receive a fax rather than send one, try FaxBetter. You’ll get your own fax number and can receive up to 50 pages per month completely free. The downside is you’ll lose your fax number if you don’t receive a fax at least once every 7 days. 500 Pages per Month: $95.88 per year or $9.99 per month. $0.059 per page overage. 1000 Pages per Month: $155.88 per year or $17.99 per month. $0.049 per page overage. 2500 Pages per Month: $599.88 per year or $59.99 per month. $0.039 per page overage. Note: There is technically no reason to choose this plan since unlimited faxing is cheaper. Fax Unlimited: $479.88 per year or $49.99 per month. Includes unlimited faxing and 2 fax numbers. Additional fax numbers cost $4.99/month each and you can find international faxing rates here. 500 Pages per Month: $59.40 per year or $8.95 per month. $0.03 per page overage. 1000 Pages per Month: $155.40 per year or $17.95 per month. $0.03 per page overage. 3000 Pages per Month: $359.40 per year or $34.95 per month. $0.03 per page overage. Additional fax numbers cost $4.95/month (+$10 one time) and there’s no international faxing. 300 Pages per Month: $99.99 per year or $9.99 per month. $0.05 per page overage. 500 Pages per Month: $199.99 per year or $19.99 per month. $0.05 per page overage. 1000 Pages per Month: $399.99 per year or $39.99 per month. $0.05 per page overage. They also have an Enterprise edition with API access, but you need to contact HelloFax for pricing. Additional fax numbers cost $4.99 and international faxing rates can be found here. If you’re interested in using digital signature software in place of online faxing, check out our article Best Electronic Signature Software – SignNow vs. Docusign vs. Hellosign. Your contact receives the document via email and can add a digital signature directly from their web browser. RingCentral Fax: RingCentral allows you to save your signature as a “stamp” so you can quickly add it to any document. To do this, you’ll need to scan your signature, or draw it in a graphics program and save it as a bitmap. The process is explained here on the RingCentral website. Nextiva vFax: Nextiva does not provide tools to add electronic signatures. You can still do this, however, using separate digital signature software. HelloFax: HelloFax lets you electronically sign faxes before sending them out. The process is much simpler than RingCentral since it’s powered by their sister company HelloSign. RingCentral Fax: You can link RingCentral with your cloud storage program to automatically fax documents from Box, Dropbox, or Google Drive. Or, set it up to automatically save faxes to your cloud drive. RingCentral also integrates with Microsoft Office, so you can send/receive faxes directly from Outlook or other Windows applications. Nextiva vFax: Nextiva does not support any integrations with their fax service. HelloFax: Like RingCentral, HelloFax can be linked with many cloud storage programs, including Box, Dropbox, Google Drive, OneDrive and Evernote. This is a two-way integration: You can import documents from your cloud storage drive into HelloFax, or automatically save faxes from HelloFax. There’s also an integration with Google Docs, which lets you send faxes directly from the word processing program. Read more about it here on the HelloFax website. Of the 3 fax services, Nextiva is the only one to offer phone support with a basic plan. RingCentral offers phone support on premium plans, and HelloFax is email support only. RingCentral Fax: Ringcentral offers 24/7 live chat and email support on their basic plan (no phone support.) During our trial, we were connected to a technical support agent via live chat very quickly and received a prompt answer to our question. All other plans also include phone support Monday through Friday from 8am to 9pm EST. RingCentral uses a mix of US-based and overseas support. Nextiva vFax: Nextiva offers US-based support via email and phone. It’s available from 8am to 9pm EST Monday through Friday, and on Saturday from 12pm to 4pm EST. Based on user reviews and our personal experience using the Nextiva phone system, we found Nextiva customer service to be very responsive and knowledgeable. 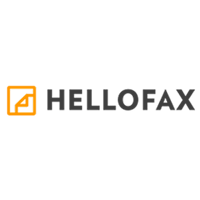 HelloFax: HelloFax has email support only (no phone or live chat support.) During my trial, I asked a question and heard back the next day. Though it wasn’t immediate, the response was detailed and helpful. If you just need to send/receive occasional faxes, you can usually get by with a free online fax service. 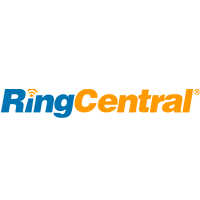 If you need to fax regularly, however, we recommend RingCentral. Though pricing is slightly higher than Nextiva vFax, you get digital signature support, integrations with DropBox, Box, and Google Drive, and can send faxes internationally. If you need phone service in addition to online faxing, be sure to check out our guide to the best small business phone service providers. Both Nextiva and RingCentral offer phone and online faxing in one package at a discounted price. Good choice of providers, I am missing WiseFax on the list. It is available as Android, iOS, Mac and Windows app, and as Google docs and Windows Edge extension. No subscription, extremely easy to use, faxing is not limited to USA and Canada. They offer affordable pay-as-you-go faxing which is great for low volume users who can’t commit to monthly plans. Have you checked SR Fax for review? https://www.srfax.com. The website advertises a 60 day free trial, 24 hour support, plans start at $6.95 per month. Curious how they stack up. This is a pretty good deal for a low-volume fax services. If you don’t need more than 200 pages, it’s a bit less expensive than the other services. Hey Dave. Nice post. I’d consider adding Foiply to the list though :). HIPAA compliant, reliable, with very robust admin features for larger deployments. Very competitively priced when looking at larger volumes. Online Fax Service has remained often the most popular also offers the most useful features.Interesting post…Enjoyed reading your post. Hi Rihayn, thanks for dropping in. Pricing is about the same for the service you linked, although you only get 250 pages for $9/month, vs. 500 from Nextiva and RingCentral at a similar price point. Not all fax services are created equal. My business faxes thousands of pages per month and I’ve used all of the mentioned fax services. I ended up using Foiply because they were way more reliable and were able to complete large faxes with excellent image quality. If you only fax on occasion and price is major concern, I’m sure most services would suffice. But if you are a business faxing mission critical or time sensitive documents, choosing the right service is important. Thanks for sharing. How did you find image quality and reliability compare between other services (like RingCentral and Nextiva?) Was there ever any faxing time delays?